The trial in Greenbelt, Maryland, started the same day the Trump administration said it will appeal a loss in a similar New York trial to the U.S. Supreme Court. A trial challenging the Trump administration’s decision to add a citizenship question to the 2020 census kicked off in a Maryland federal court Tuesday, becoming the third such trial in a larger legal fight that has shown no signs of tamping down. The trial in the U.S. District Court for the District of Maryland comes exactly one week after a federal judge in New York struck down the citizenship question. It also started on the same day U.S. Solicitor General Noel Francisco signaled the government will ask the U.S. Supreme Court to review that New York ruling. Meanwhile, another federal judge in California is reviewing a separate legal challenge to the question. U.S. District Judge George Hazel is overseeing the latest trial in Greenbelt, Maryland. The case consolidates two legal challenges to the citizenship question, brought by lawyers at Covington & Burling, as well as the Mexican American Legal Defense and Educational Fund and Asian Americans Advancing Justice. Together, they represent a broad swath of individual residents and various organizations claiming the question was unlawfully added. The plaintiffs’ attorneys trotted out five witnesses Tuesday, including John Thompson, a former director of the U.S. Census Bureau, who described how the government skipped the well-established procedures and rigorous testing that typically occurs before changes are made. 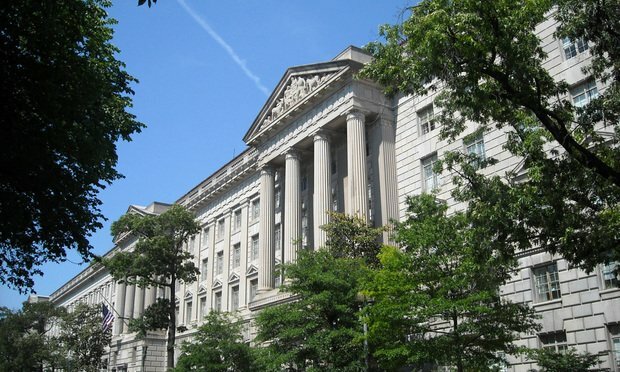 The Justice Department, representing the Commerce Department and the Trump administration, contends the government has broad power to make changes to the survey. They claim data on citizenship is necessary for enforcement of the Voting Rights Act. Plaintiffs have also argued that adding a citizenship question could lead to an undercount among immigrant communities, and threaten federal funding. Among Tuesday’s witnesses were the heads of two nonprofit groups whose activities include encouraging census participation in minority communities: Juanita Valdez-Cox, of the group LUPE, and John Park, who heads the MinKwon Center for Community Action. Both Valdez-Cox and Park said the citizenship question will depress participation among immigrant communities. Valdez-Cox described how residents near the U.S.-Mexico border feared handing over their citizenship status to the federal government, or revealing the citizenship status of their family members. Both Valdez-Cox and Park described how, amid those concerns, their groups have diverted resources to encourage census participation in diverse communities. In cross-examination, Justice Department attorney Brett Shumate sought to highlight how those groups would have expended resources regardless of the question. He sought to illustrate how the groups used resources ahead of the 2010 census, and how, even though the ruling in New York blocked the question, the groups will still continue to dedicate resources for census-related outreach. Even amid the California and New York litigation, the plaintiffs involved in the Maryland case are intent on following through with their trial. In court papers, lawyers argue the case should continue to go on, in part because the New York ruling could be appealed and reversed. “The fact that there is more than one case doesn’t make this case any less important, and we’re continuing to pursue our clients’ interests aggressively,” Covington partner Benjamin Duke said after Tuesday’s proceeding. Meanwhile, Democrats in control of the U.S. House Oversight Committee on Tuesday announced Commerce Secretary Wilbur Ross has agreed to voluntarily testify before the panel in March. The plaintiffs in Maryland are likely to wrap up their case this week, with the government expected to begin presenting its case in chief no later than Tuesday.